I never quite realized how much hard work a dedicated blogger must put into his or her posts and photos. This is especially true when traveling in areas where free internet is hard to come by. For me it has meant, more than anything, lack of sleep. Such as right now when I am up in my hotel room in Amman, running on my minimal sleep from the last few days, and unwilling to go to bed until at least something is published. 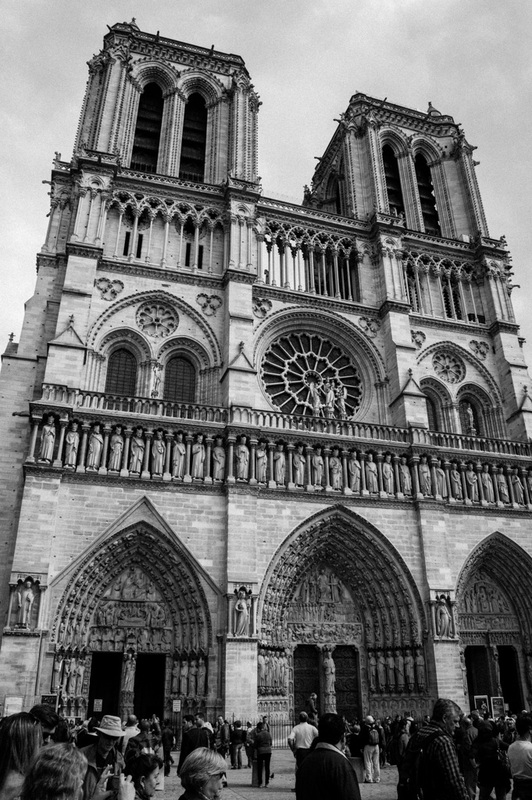 But hey, I’ve just been to Paris and I want to share what I’ve seen and learned. 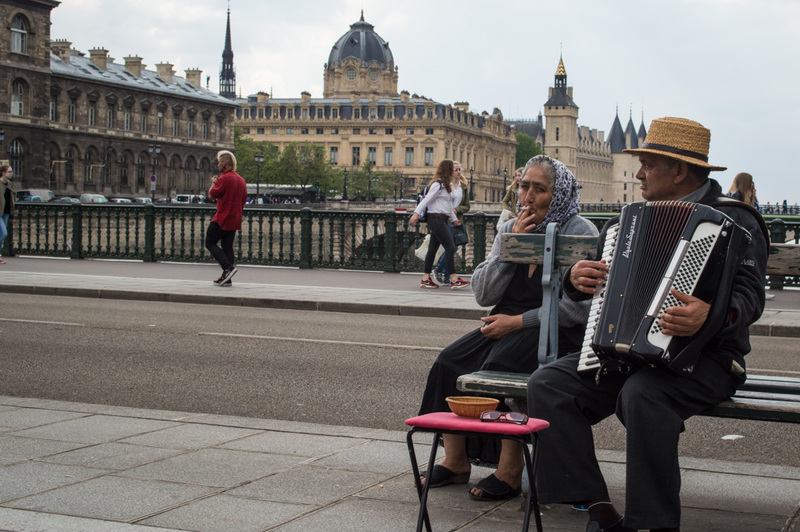 Arriving in Paris, I was immediately thrown into the hecticness that is trying to figure out what to do in a country where they speak a foreign language. Fortunately, I took seven years of French in school (three years in middle school and four years in high school). Unfortunately, about 95% of my speaking ability is completely gone, and has been replaced by a frustrating habit of using Hebrew words when trying to speak French. Fortunately, I can still understand almost everything I read and a decent amount of what I hear. It’s sad how easy it is to forget a language that you never use. Perhaps one of the biggest things I got out of this trip was the deep desire to one day live in France for at least a few months and dedicate myself to learning (re-learning?) the beautiful French language. 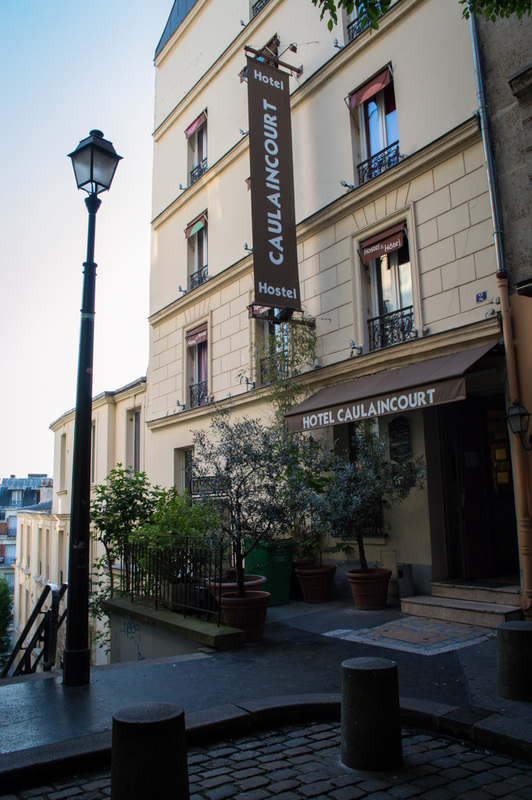 I stayed at the Caulaincourt Boutique Hostel in northern Paris. I loved the service of the staff and of my fellow young travelers. I decided on that hostel largely because it was one of the very few who had an all-male room. That certainly helped me feel more comfortable, and it even allowed me to have the room all to myself the first night! Sure picked a great hostel. Let’s see, fun experiences. I ran into the LDS Missionaries on the metro my first few hours in Paris and they helped me get to Notre Dame. They also showed me the chapel and visitors’ center close by. Had some amazing gillatto. Took a nap in the Louvre when I just could not take the jet lag anymore. Climbed the Eiffel Tower at night—twice. Walked around the gardens of Versailles while taking shelter from the rain. Witnessed a large demonstration marching towards the Palais Garnier, of Phantom of the Opera fame, and did my best to avoid the crowd. Had some incredible pastas, escargot, weird pizza thing, steak, and of course various cheeses and pastries. One word of advice for anyone wanting to visit famous sites: always be aware of national holidays!! As it turns out, May 1st is one of those days when almost everything in Paris shuts down. As it so happened, that was the day I had planned to see _most _of the Louvre, as wells as the Orsay Museum. Luckily, an unplanned trip to the Louvre the day before allowed me to see some of the most famous paintings, including the Mona Lisa. Unfortunately, I was saving my most anticipated exhibit of the museum—the ancient near eastern artifacts—for May 1st. Seeing the sign at the entrance announcing the museum’s closure for the day was like taking punch to the gut and a slap to the face. I sure felt foolish. But I took comfort in the fact that I plan to return one day in the not-too-distant future. And hey, were it not for that I would have not seen many of the great sites I saw that day, such as Versailles. Well, I can confidently say that I had multiple conversations with French people in French. I mean, “excuse me where is the bathroom?” “over there on the left,” “thank you,” is a full conversation, no? Oui. But I’m afraid a truly engaging French conversation will have to wait until a future time when it takes me less than five minutes to think of the proper response to a simple question asked to me on the spot. The epic picture has been taken. Now I just have to send it as a postcard. Details forthcoming (once I find a place to print my picture).